Terry Williams was a band director for 28 years, and has been a full-time drill designer since 1999. He has written shows for high schools and colleges in 30 states. Terry has designed hundreds of halftime shows with Pyware software since 1983. All shows are designed with Pyware 3D. 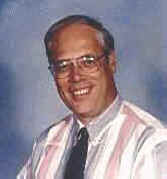 Terry also has received the NBA Citation of Excellence twice for his work with concert bands.